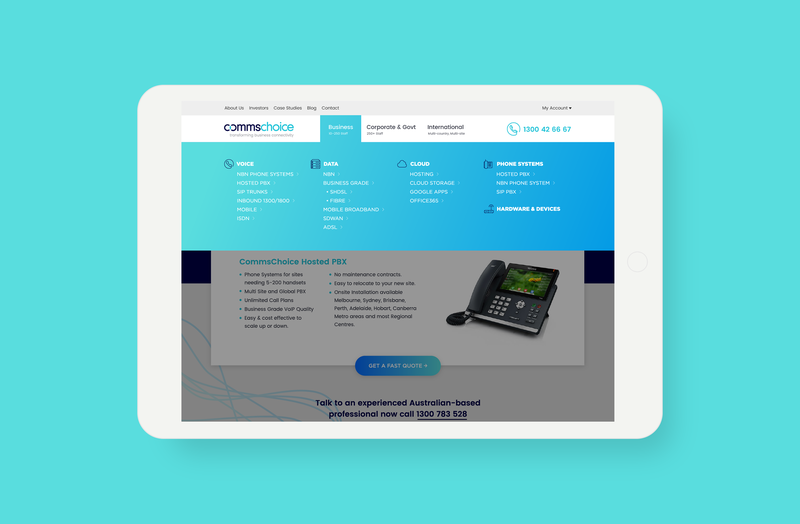 With operations in three countries and servicing clients worldwide, CommsChoice is an international technology and business communications provider. 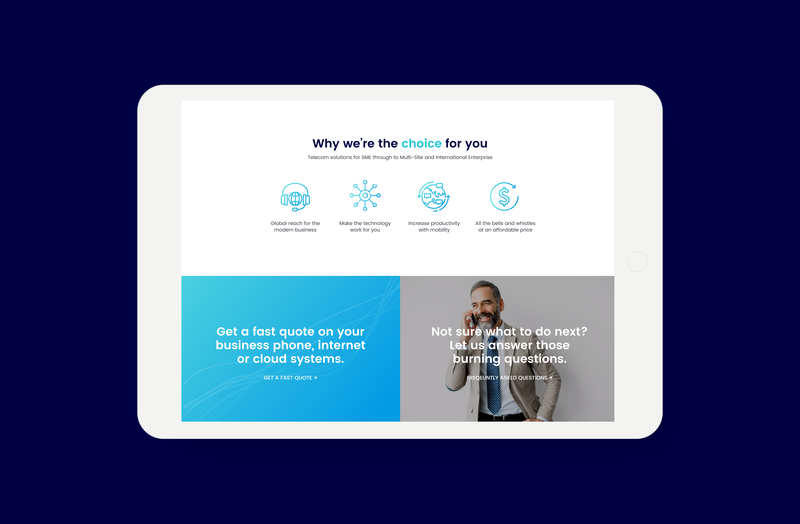 Following the merger of five separate companies and subsequent listing on the Australian Stock Exchange, CommsChoice engaged Spicy Web to develop a new website to reflect their comprehensive service offering and status as a leader in the space. Early in the project it became clear that the existing branding was dated and failed to live up to the promise of the newly merged company. We subsequently undertook a complete refresh of the brand from the ground up. Beginning with the core assets, we completely redrew the logotype, retaining the core structure — which we found had strong recognition in the market — but optimised for greater symmetry and consistency within the mark, ensuring that the logo retains a robust appearance at all sizes. 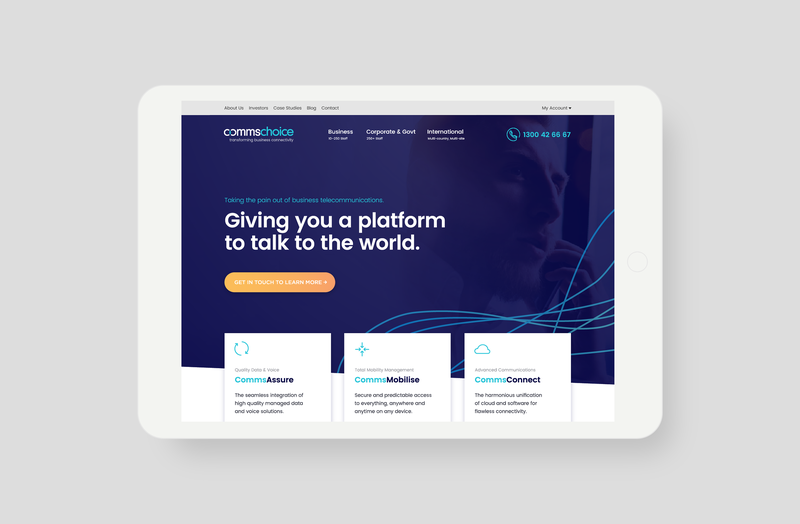 To compliment the updated logo, we rebuilt the entire visual language of the brand; including a refreshed colour palette, modernised typography, and a fresh image library. A Brand Guidelines document was developed to provide the organisation — and its 50+ employees — with a comprehensive understanding of the updated brand and how it should be used, ensuring a consistent rollout. 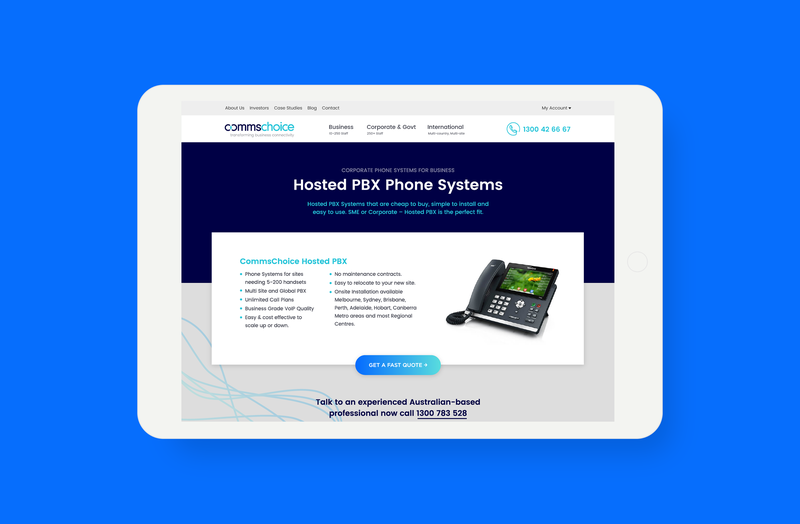 In developing the website, we followed best-practice responsive development principles to provide a consistent user experience across all browsers and devices, vital for a business with users all across the world. Branding, graphic design, and website design and development by Spicy Web.